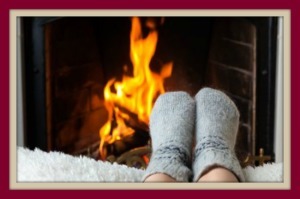 Cold Weather Fireplace – Is Your Fireplace Ready? Cold Weather Fireplace? 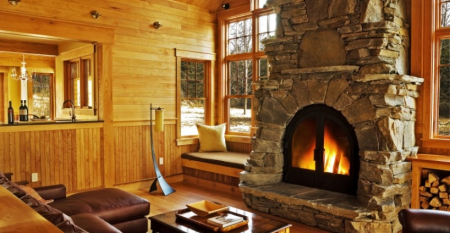 We’re finally getting ready for the colder weather, which means you may want to strike up that fireplace of yours to enjoy! You should clean both the stovepipe and hearth opening to the chimney before you strike that first match (a wire brush would be a good tool for this). While you’re in there, check for clogs, cracks, or leaks. Check that stovepipe joints are tightly sealed. If you’re not sure how to clean and check your fireplace, call a professional chimney sweep in Austin to do the job – (737) 216-0694. If you have a wood stove…Does it have a brick surround? Check the bricks for damage or cracks. You can seal cracked bricks with repair cement, found at your local hardware store. Wood stoves should have a minimum 36” clearance on all sides to avoid danger of high temperatures causing nearby surfaces to catch fire. Here’s a big one… Check your chimney cap for any damage or missing pieces, as well as look inside your chimney walls for any unwanted critters (live or otherwise) that may have gained entrance into your chimney or fireplace area. A properly installed and complete chimney cap can ensure you do not let any outdoor pests or animals inside! Once your chimney, stove or fireplace have been checked and are in good working order, stock up on some well-seasoned hardwoods: ash, beech, hickory, maple or oak are all good choices. The wood should be dried usually for at least a year prior to burning; if it’s still green, store it on your property that’s not too close your home (to prevent rot and insects) or under a tarp to protect it from the weather. This will also help dry it out faster. You’ll know it’s ready when there are cracks in the end grain.